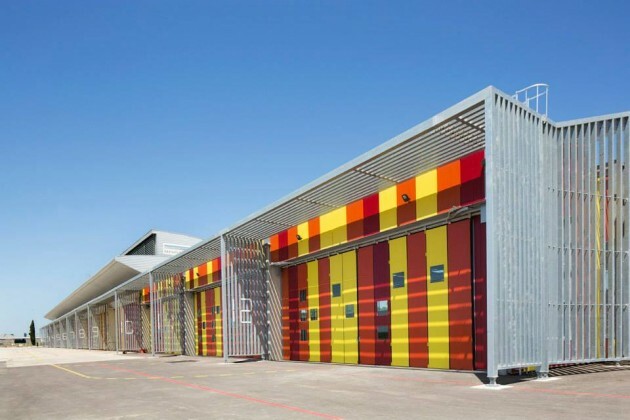 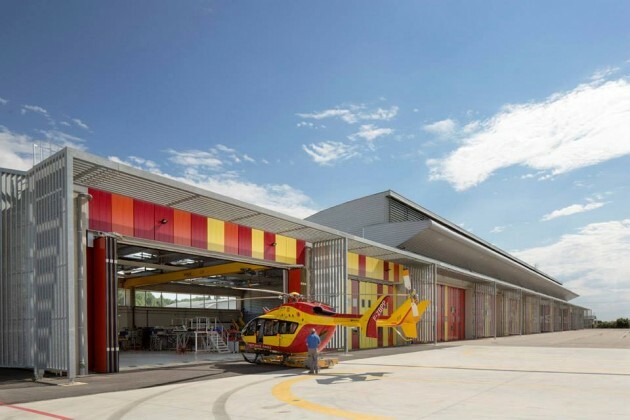 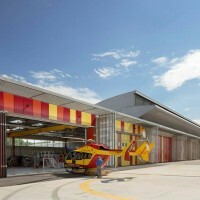 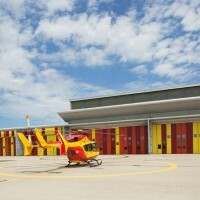 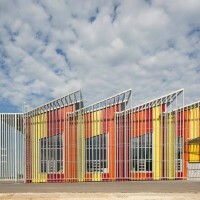 NBJ Architects have designed a helicopter base for The Helicopter Group of Civil Security of Nîmes-Garons in Nîmes, France. 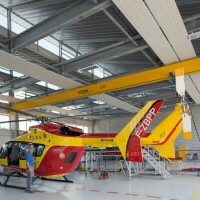 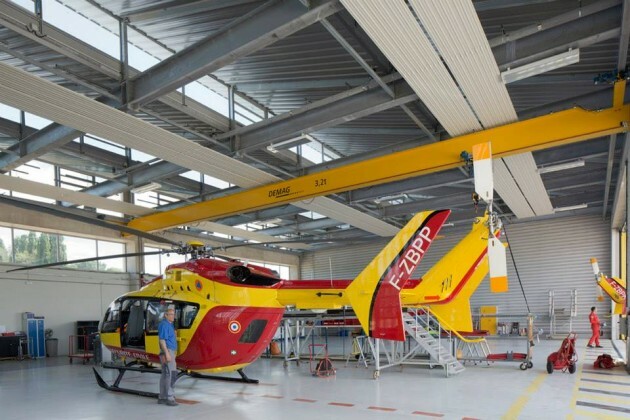 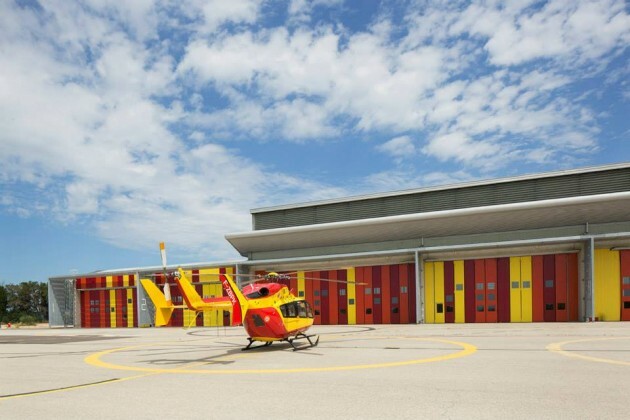 The Helicopter Group of Civil Security of Nîmes-Garons required an extension regarding its future activities. 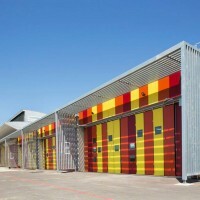 The principal idea was to reconquer space by a better distribution of the buildings in order to find an optimized scale for the buildings and the outdoors areas. 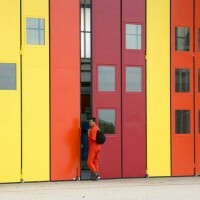 Our first action was to reconsider the current landscape and to bring a functionnality to external intallations which had to create spaces of quality and a global logic of circulation within the establishment- everything must be connected. 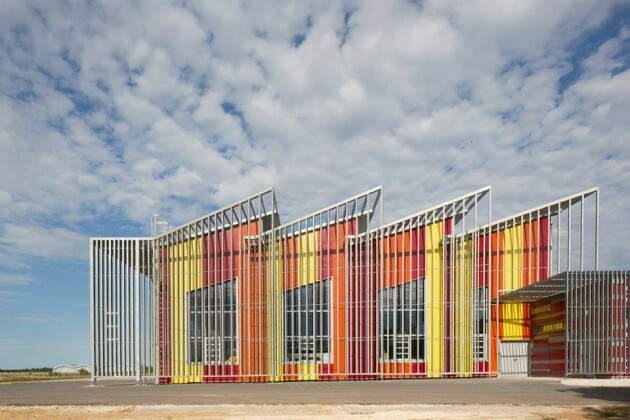 Thus, the project is articulated around the following axis: the concept of flexibility, the scale of the place, the creation of a coherent site within the respect of the environment. 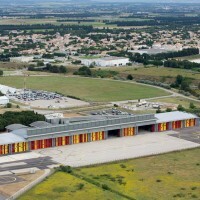 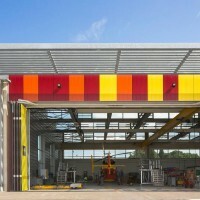 Several key points were considered: the hangar, workshops and store.